Credit Inquiry is a service on Echemi platform, which Echemi cooperates with China Export and Credit Insurance Corporation (Sinosure). It includes Credit Rating Service and Shipping Credit Service. Improve credit management, to enhance competitiveness and profitability. Want to implement this service? 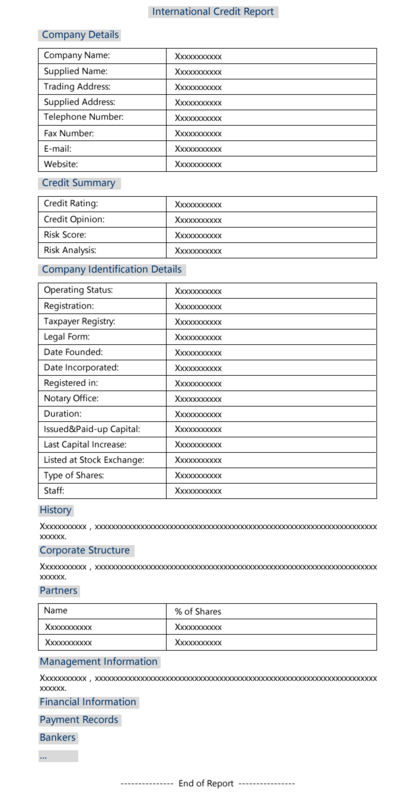 Basing on different countries' local regulations, policies and degree of information openness, Credit Rating Report contains company's Registered Capital, Shares Structure, Management Information, Operating Conditions, Financial Information, Bank Information, Public Records Information, Credit Evaluation and etc. Shipping Credit Service is between Echemi and Sellers. The Seller Entrusts Echemi to apply Credit Amount of the buyer from Sinosure. Credit Amount Approval is the basic of using Echemi Financial Service.According to buyer's credit state, Sinosure approve credit wth llimitation of amount and time. It can help you reduce and avoid risk of business. 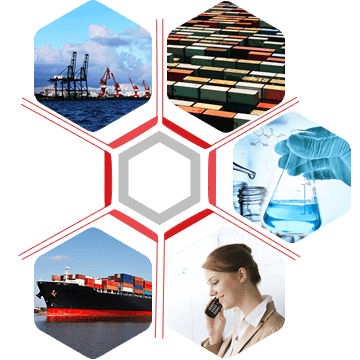 Credit Inquiry is a service on Echemi platform, which Echemi cooperate with China Export and Credit Insurance Corpration (Sinosure). It includes Credit Rating Service and Shipping Credit Service. Upload the document remittances. Confirm to start your Credit Inquiry.